Spring is upon us and I can hardly wait! 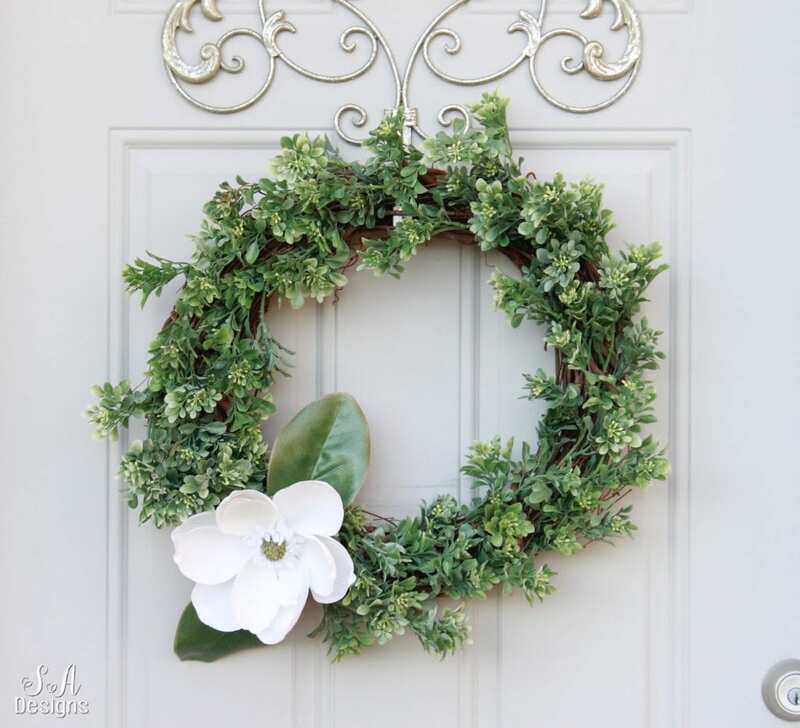 As I’ve put away all things Valentines and started freshening up my home for Spring, I knew I wanted a new wreath for the front door. I searched the internet and went to all the well-known home decor stores and came up with nothing! Everything I saw was either very fake and cheesy-looking OR decent but way overpriced. I knew what I wanted so I decided to make my own. 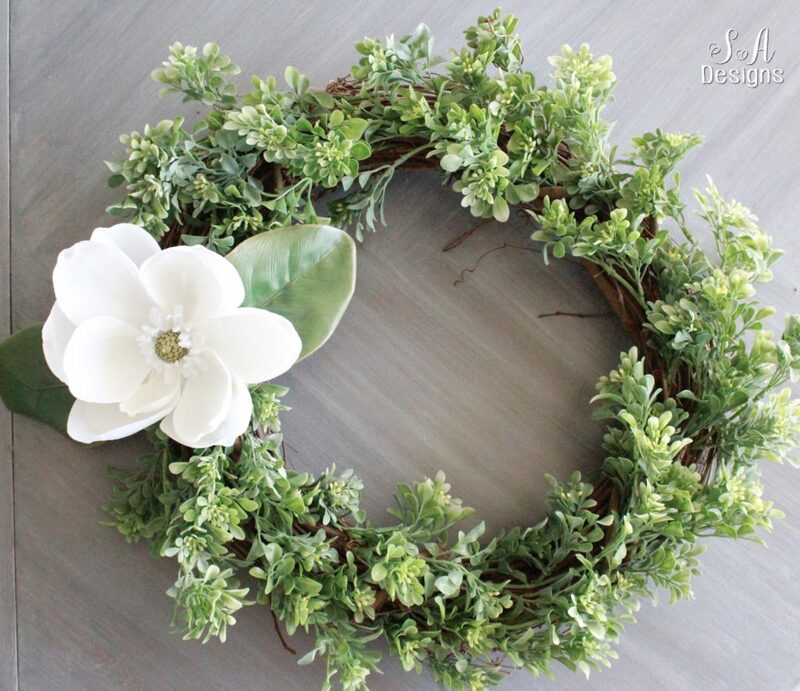 Here’s how to make a faux boxwood and magnolia wreath! 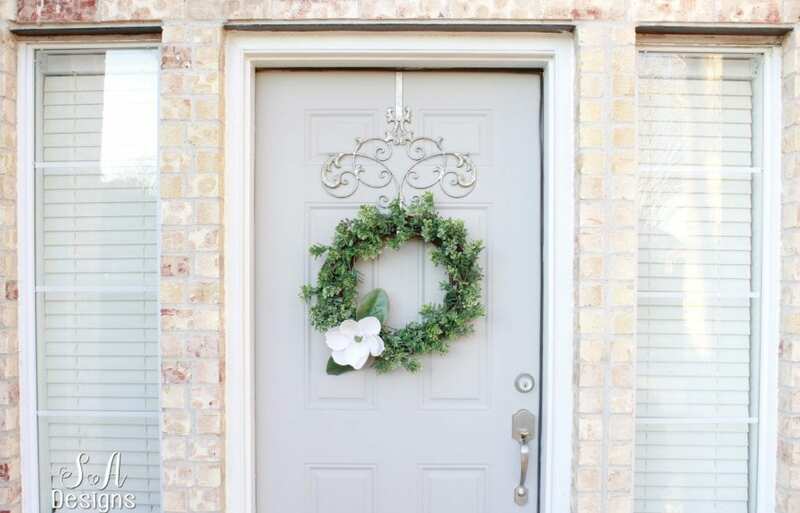 I love boxwood but preserved boxwood on my front door would only be exposed to the sun and other elements and turn that ugly olive green and be quickly ruined. 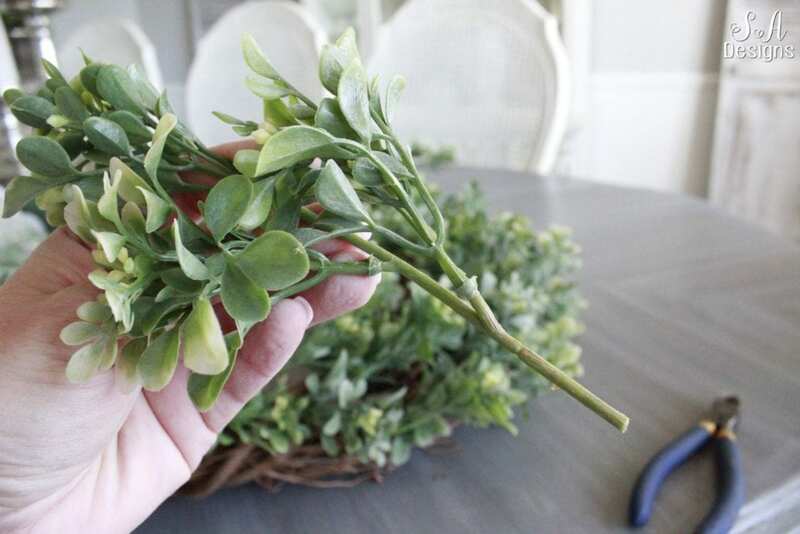 I decided to use faux boxwood stems BUT I had to find pretty ones and not the cheap plastic kind. I went to Michael’s because I like their stems the most and I love all of their new basic stems they just started carrying. 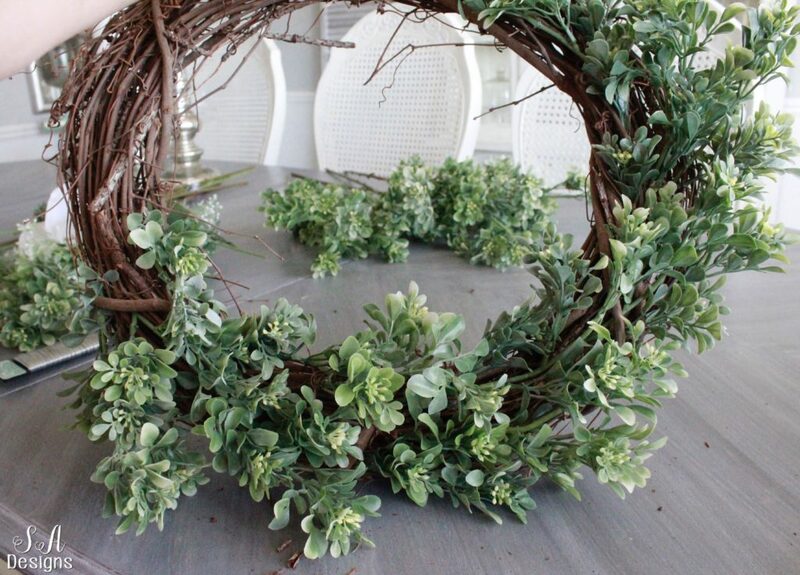 I think faux eucalyptus would be so lovely as well! These lovely, lighter boxwood were perfect and they were not at all super plastic-looking. They were on sale for 40% so that was a bonus. I was trying to make this wreath for a fraction of what I’d seen in other stores. I wasn’t interested in the $80 wreaths I kept seeing all day when I was out shopping. 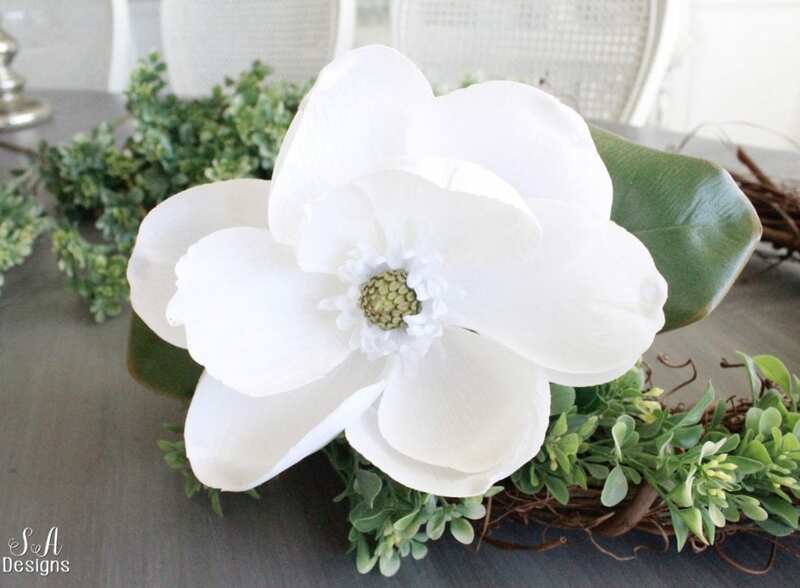 I also LOVE magnolia flowers. I see magnolia trees everywhere here in Dallas and I have always loved them, so I knew I wanted to add one. But again, I had to find a real-touch magnolia stem that was high-quality and really pretty. I also found this one at Michael’s and got if for 40% off. 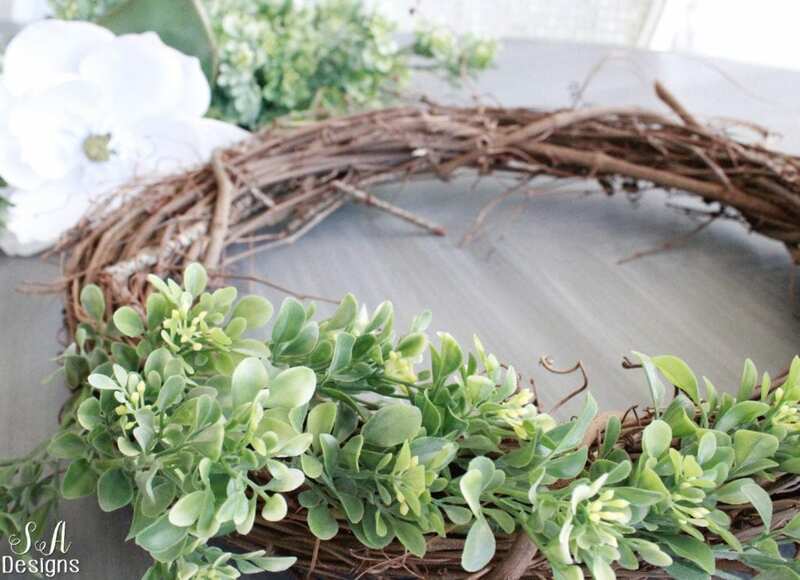 I had a round branch wreath already that I found at a garage sale for 50 cents but you can find them for $5 at any craft store (or less with a coupon). 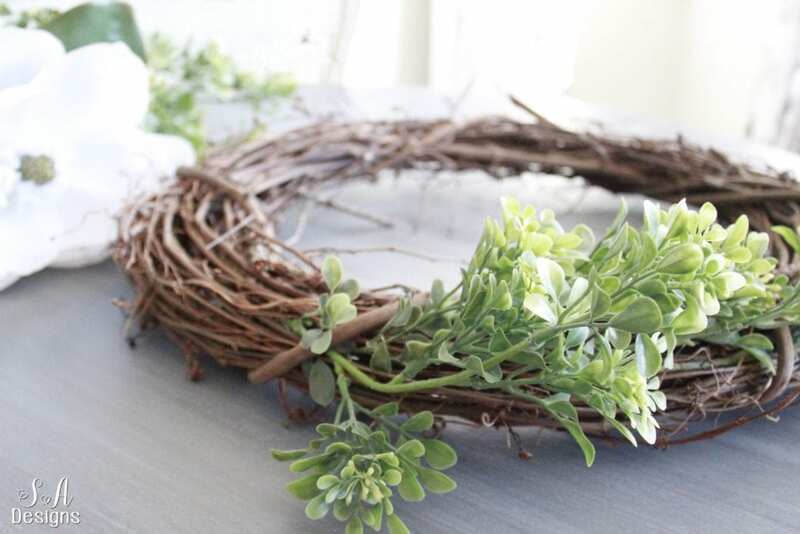 Cut the stems off with your wire cutter and start sticking them down in between the branches, working your way around the wreath (I went counter-clockwise, or to the right). 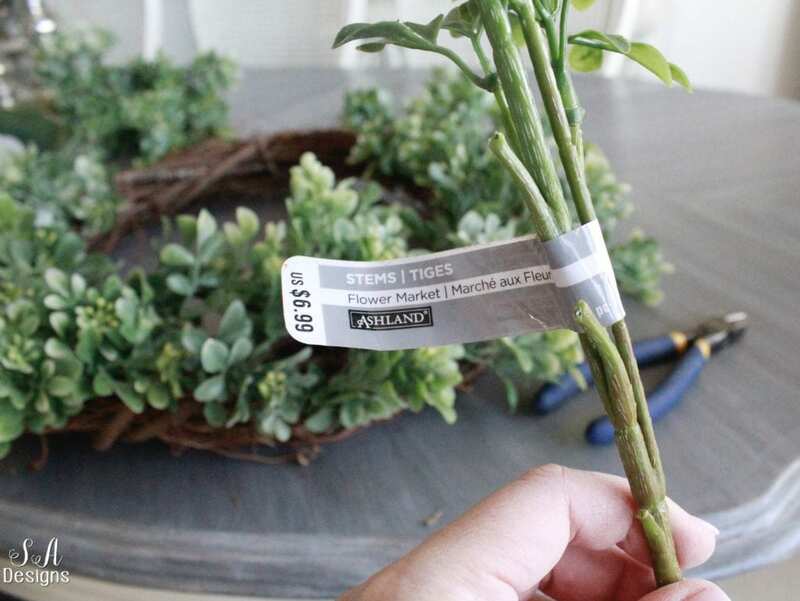 Make sure to cut a couple of inches below the last stem so that you can really stick it all the way into the wreath. 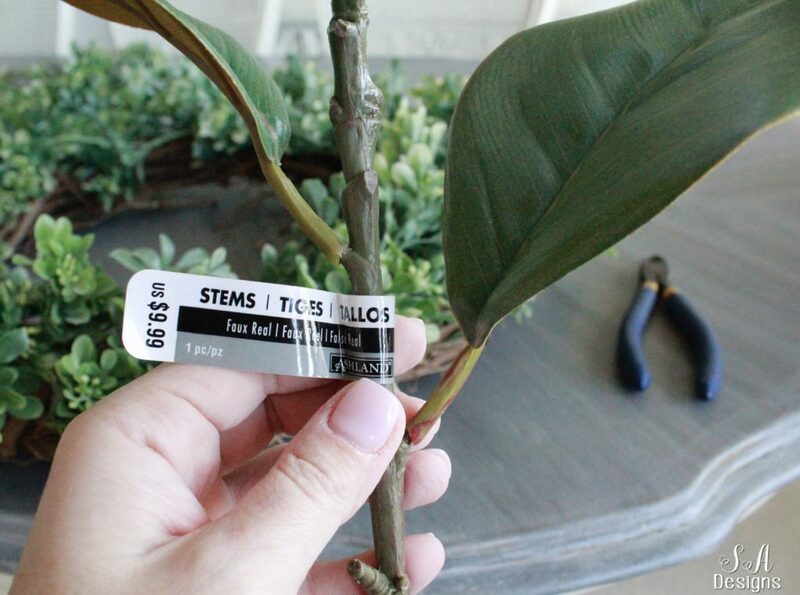 Once you’ve gotten all the way around, leave a small empty spot for your magnolia stem. Cut it short and take off the 2 leaves that are further down the stem. Use hot glue to attach them to that bottom left corner or wherever you’d like to place it. Continue around the wreath with your hot glue, AFTER you’ve decided that you like where you’ve placed all the stems, and just add little dobs of glue where the stem is tucked into the wreath. You don’t need the hot glue for all the faux boxwood if this wreath is going inside but because this is going outside, I wanted to protect it from the elements and make sure it was secure. 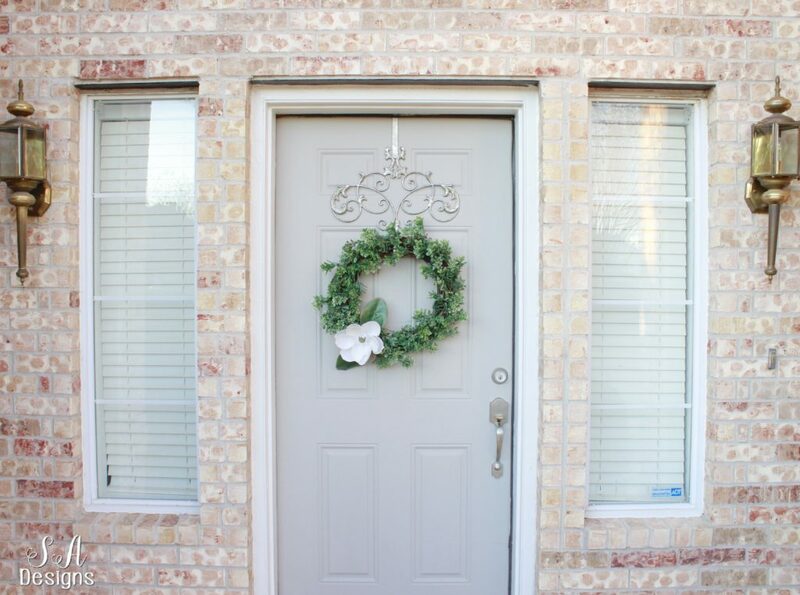 I placed my wreath on a pretty door hanger and I just love it! It’s simple but elegant and welcoming. I really love the stems and don’t feel like it looks fake and cheap. The total cost for me was about $23 because I already had wire cutters, hot glue gun, and the $5 wreath. Again, if I hadn’t already had the wreath it would’ve only cost me a couple more dollars but the other store wreaths I looked at were $80 so I’m very pleased with the money I saved AND I truly like this wreath better than the others I’d seen. 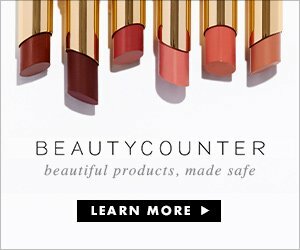 Here are the supplies and shopping links if you want to order these items from the comfort of your home.